Fassinating Fassbender - A Michael Fassbender Fan Blog: The Counselor Blu-Ray and Michael @ BAFTA Confirmed! The Counselor Blu-Ray and Michael @ BAFTA Confirmed! 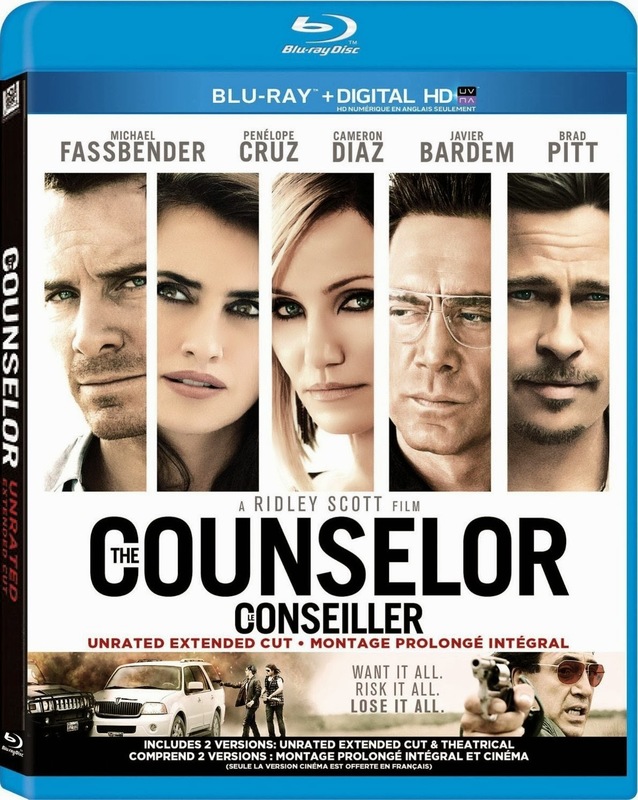 If you're like me and you loved The Counselor, you got the Blu-ray/DVD yesterday and watched it immediately! The two-disc pack has the Blu-ray extended uncut version, and the Blu-ray theatrical version. Regardless if you saw the movie or not, dive into the extended version first so that you can get a fuller sense of the film and possibly enjoy it even more. My four-star review still stands and I encourage you to give this great and smart film a chance to breath like red wine before you drink it all in. In my first spin of the disc, I watched the film and there was about 15 minutes of extra footage, but to my surprise, the lingerie shopping scene was not in it, nor was the desert scene where the counselor walks about in, possibly on a grief induced suicide mission. The behind the scenes parts were fantastic, but I only watched a few of them last night: the Counselor segment, the Malkina segment, and the Bolito segment (that neck device used to kill Brad's character). We get to see a bit more about just how madly in love the counselor and Laura were, and that was the driving force behind the counselor's desire to get easy millions to afford Laura the best in life. And the warnings to the counselor were even clearer to him in the extended version, but yet again, his greed and arrogance kept him on road to ruin. In other news, just as I had expected, it has been confirmed that Michael Fassbender will attend the BAFTAs this Sunday. So once more, please join us in the FF live chat room to cheer on Michael. Those of us in the US may not be able to watch the program live, but our European friends will, and I'll be watching my twitter feed simultaneously during the chat to see the winners instantly. Surely we'll have Getty Images to see Michael on the red carpet, and eventually, the taped show will be available to see somewhere on the internet in due time. 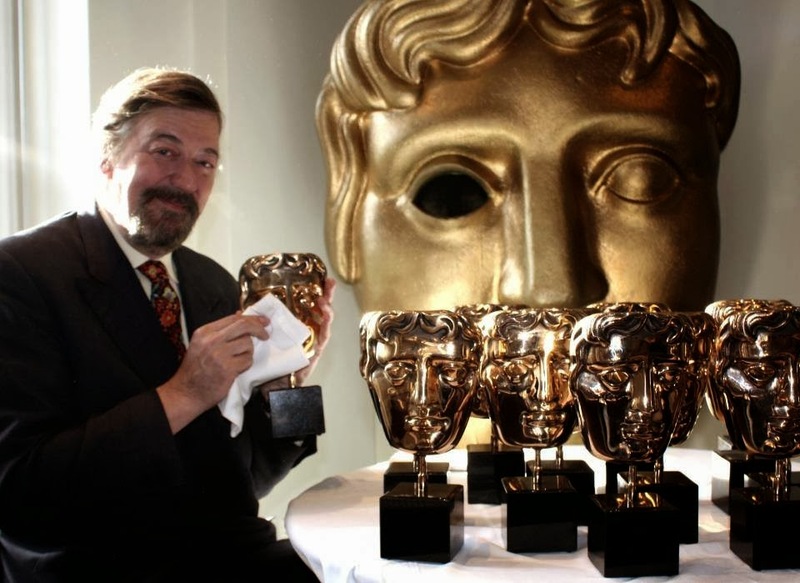 Bafta host Stephen Fry with one of Michael's awards! OK, I just checked the oddsmakers for Bafta They have (gulp) “Gravity” winning Best British Film. “12 Years a Slave” winning Best Picture. Alphonso Cuaron winning Best Director, Chiwetel Ejiofor Best Actor, Cate Blanchett, Best Actress, Michael Fassbender, Best Supporting Actor, and Lupita Nyong’O for Best Supp. Actress. I keep my fingers (and my toes)crossed for Michael. Now that I saw 12 years a slave, I can only confirm the incredible performance of this great actor. Glad you enjoyed 12YAS and feel that Michael's performance was top notch. Yes I picked up my copy yesterday but I will not be able to watch it maybe for at least a few weeks. The Olympics is something I love to watch so when I am home I am usually watching that in between whatever stuff I have recorded. Also my copy of 1 The Movie is set to be delivered between Feb. 19th and 24th as I chose the "Free" option on my amazon order. I though I would be able to buy it at the store by my local Target did not have it. The male salespeople were very surprised when I told them the movie was about Formula One Racing. Ha, ha, ha. Does anyone know what channel is going to be showing the BAFTAS? Thanks! Boo on no lingerie shop extra. That was a great clip. I can tell you listening to him talk about undergarments made me nervous. LOL! Ha, ha, ha. Thanks for keeping the blog clean. Thank you for the link Hupsakeek!